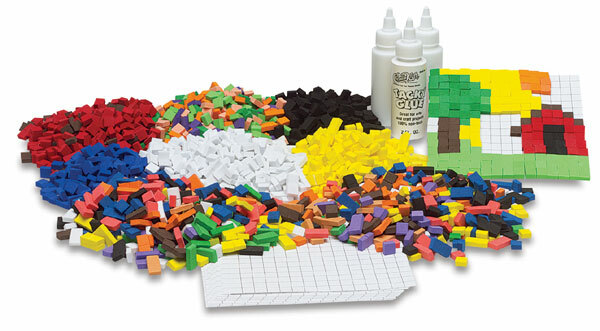 These foam squares come in assorted colors and are great for creating colorful mosaic designs. They are also a great way to introduce young children to mosaic art. When kids arrange small pieces into a larger design, it helps to develop their manual dexterity and patience. Classroom Pack — The classroom pack contains 2,700 foam tiles in assorted colors, 12 blank grid cards measuring 5-5/8" × 5-5/8" square, 2 oz tacky glue, and an instruction guide. 500 Piece Bag — This bag contains 500 foam tiles in assorted colors. ® Creativity Street is a registered trademark.® WonderFoam is a registered trademark.